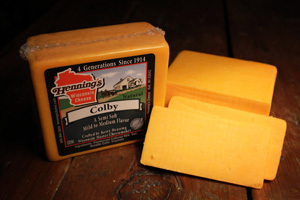 Multi-award Winning Colby Cheese Henning's Cheese has entered and won a wide variety of awards in the United States and World Cheese Contest over the years. 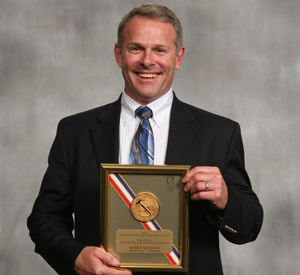 Dedication and a love for cheese continue to be the driving force behind our recent awards. We continue to work hard trying to improve our cheese. 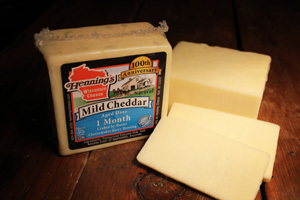 We consistently win awards for our regular Cheddar and Colby cheeses but our flavors cheeses are winning over the judges one flavor at a time. Founded in 1914 by Otto Henning, his son Everett and his children, Kay, Kerry, Kert & grandchildren Mindy, Rebekah and Joshua continue with the family tradition today. 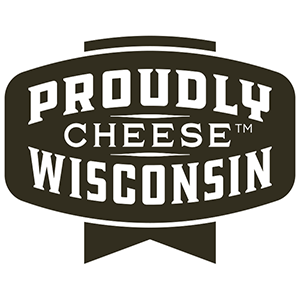 As a fourth generation family cheese company it is our desire to make some of the best tasting cheeses for your taste buds to enjoy. 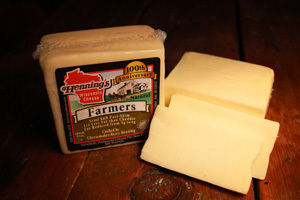 We craft and slow age our cheeses for its distinct unique flavor allowing the natural goodness to come through. 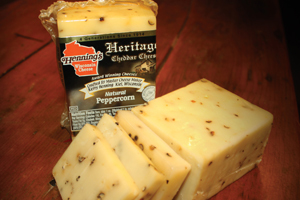 Try some of our award winning cheeses in your favorite recipes and create a new and exciting recipe that your family will enjoy. 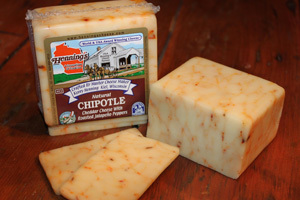 Let us know what new recipes you have blended our cheese with so we may enjoy your ideas with other.